Sorry for the last posting of the winner Ive been sick yet again..this has been such a fun winter...sigh. No worries here. Just take care of yourself. Me, who is NEVER EVER sick was sick of and on from early Feb to mid-March! nasty stuff. You think you are over it, and back it comes. Finally, I am well. Whatever it is, makes you so tired along with everything else. We need to know where these land marks are? This is the side of the monument that tourists usually do not get to see (except close up from a little trail around the base of the monument) because the land north of it is deeded without any public roads. How cool is that! 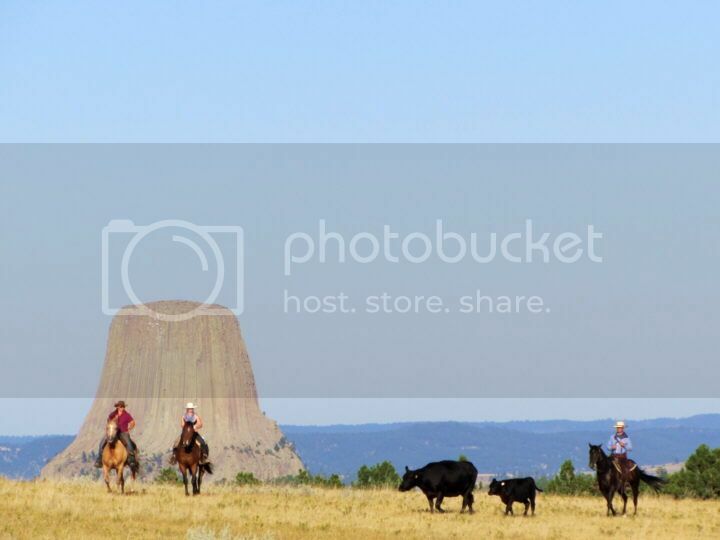 You picked the ranch that has Devils Tower in their livingroom - we've got it only in the back yard. You've probably been in Zanni's house and saw their view? Stunning!!! Have stayed there a few times Ogden and Zanni are great hosts, and Andrea's wedding reception there was more people there then what are in Crook County . Know JW and Thea too. Small world. JW neighbors the ranch I work for, I work a lot of cattle with them, and Bruce is my next door neighbor. We should visit when you come back to hunt! caljane wrote: How cool is that! 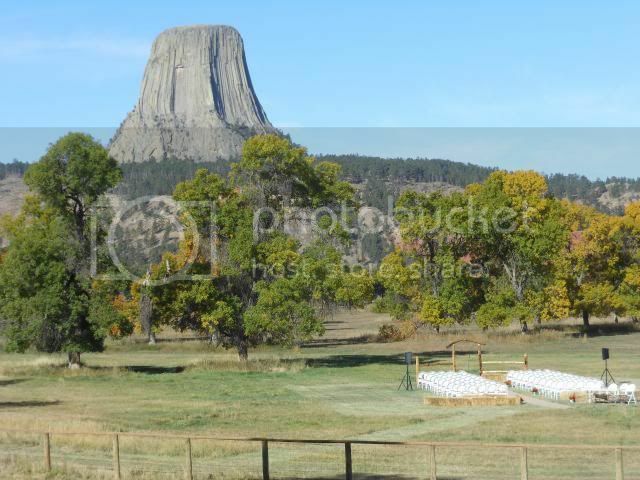 You picked the ranch that has Devils Tower in their livingroom - we've got it only in the back yard. You've probably been in Zanni's house and saw their view? Stunning!! !